Garfagnana is the name of the beautiful area in the province of Lucca, crossed by the Serchio river and confining with Lunigiana, to the north of Tuscany. The nature of Garfagnana is characterized by wild mountain landscapes and round gentle hills in the valleys. A vacation in Garfagnana would be unforgettable, a unique experience amidst wonderful nature sceneries and great local products! This beautifully decorated villa promises a quiet and tranquil setting for your Tuscan holidays near the enchanting villages of Cinque Terre. A four bedroom private holiday villa with pool and stunning views of the Apuane mountains. Located between Lucca and the Garfagnana in the thermal city of Bagni di Lucca, this ancient farmhouse is surrounded by olive and chestnut trees. It offers its guests elegant double rooms and apartments in rustic Tuscan style, a pool and restaurant. Eliseo is a family-run Bed and Breakfast in Gallicano in Garfagnana. This cozy b&b has 6 comfortable rooms and a restaurant serving traditional local specialities. Il Ciocco resort is an exclusive accommodation in Garfagnana in Tuscany. It is surrounded by 2000 hectares of green countryside, it offers business center and wellness center, as well as many indoor and outdoor activities. This boutique villa offers both rooms and apartments, all elegantly furnished and provided with all comforts. The location is simply beautiful and the services offered are excellent. Huge outdoor pool and local specialities served at the restaurant. This classic hotel, situated in Barga old city center, features a great location for exploring the nature of Garfagnana and is easy reachable by public transport also. Rooms are tastefully decorated and breakfast is good and really generous. Located in the Apennines in northwestern Tuscany, the farmhouse is a perfect accommodation for a relaxing holiday in touch with nature native to the Tuscan mountain. The farmhouse offers 6 apartments and a large swimming pool. In Garfagnana there are many things to do; you may embark on a series of activities like trekking, walking, mountain biking, or visit the amazing Grotta del Vento (Wind Grotto) together with the many beautiful medieval towns in the region. It counts only 4 municipalities but there are several important destinations and attractions. 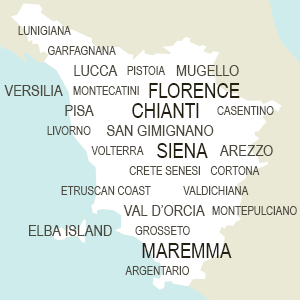 Some of them are Careggine, Camporgiano, Castiglione di Garfagnana, Gallicano and Piazza al Serchio. Garfagnana is also rich in history and legends. There are many stories about witches, goblins and devils! Here you’ll find the famous Ponte della Maddalena o Devil's Bridge, that has a very particular shape. Its construction blends together history and legend. In Garfagnana you will also find one of the most unique sights and attractions of all Italy, it’s the amazing Lake of Vagli. Hidden under the water of the lake there is a small ghost village. During full moon nights you can still hear the bell's singing. The little village was submerged by the dam's water in 1953. Every 10 years the dam is drained and the village comes back to life.